Kollywood Box Office TV is a Tamil Entertainment TV Channel also knwon as KBO TV live. Now you can watch your daily dose of Tamil entertainment via Kollybood Box Office TV live. Enjoy unlimited tamil movies 24X7 online via KBO TV Tamil.  Watch KBO TV Live at YuppTV With High Quality.